The Castello di Buonconsiglio is an imposing medieval castle and renaissance palace to the east of the historic centre of Trento, capital of the Trentino region of northern Italy. The origins of the castello date from the first half of the 13th century, when a fortress was first constructed here as a local garrison and was part of the defensive wall that surrounded Trento. 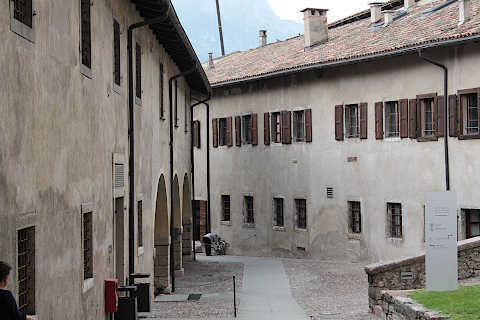 From the middle of the 13th century the castle was occupied by the Trento bishops, who transformed the building over several centuries into a luxurious palace. 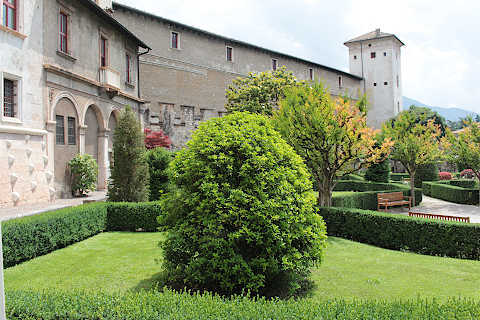 As a result buildings from several different periods and in various styles are to be seen when you visit the castello di Buonconsiglio. As you approach the castle it is dominated by its medieval ramparts, a large wall that still surrounds the castello. Enter through the gate and you find you are now in a very nicely maintained Italianate garden with carefully planted trees and bushes. 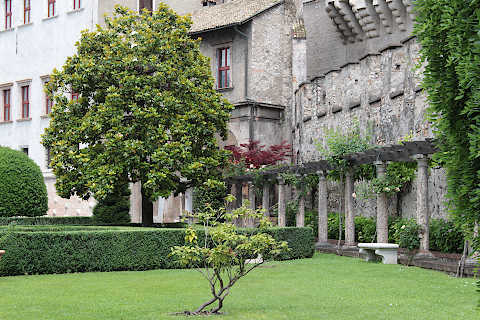 The main tower that dominates the Castello di Buonconsiglio is called the Torre d'Augusto: on your way to this medieval tower you cross the courtyard of the early castle which has a charming loggia in the Venetian style from where you have lovely views across the rooftops of Trento. 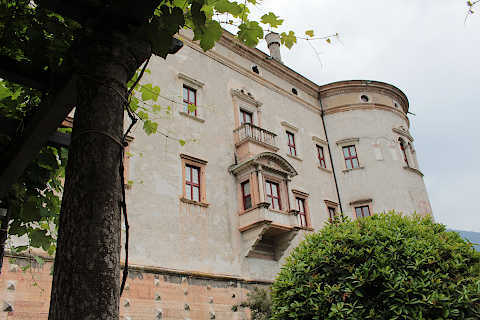 Next to here is a substantial palace, called the Magno Palazzo, that was built within the walls of the castle. This palazzo contains works by several highly reputed Italian renaissance and baroque artists. More frescoes can be sen in the second tower, the Torre Aquila. The bishopric was finally ended in 1803 after which the Castello di Buonconsiglio was used once again as a garrison. When you visit, you can enter the castle grounds, walk through the gardens and visit the cafe without charge. 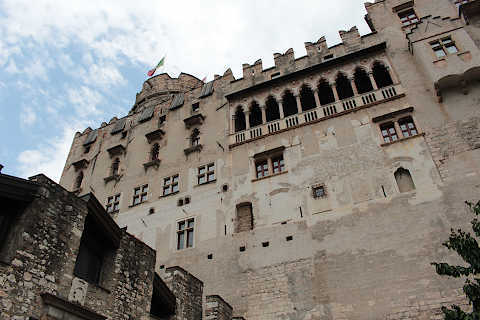 There is a small charge payable to visit the main part of the castle that contains a museum with a wide ranging collection of objects from around Trento and from the last 2000 years, including medieval art and sculptures, works of art, archaeological items, marble statues and lots of other small items. Temporary exhibitions are also held in the museum. You can see many of the highlights in this impressive city in our Trento guide. The most important of these is the Cathedral of Trento and the associated museum, tower and ancient basilica.